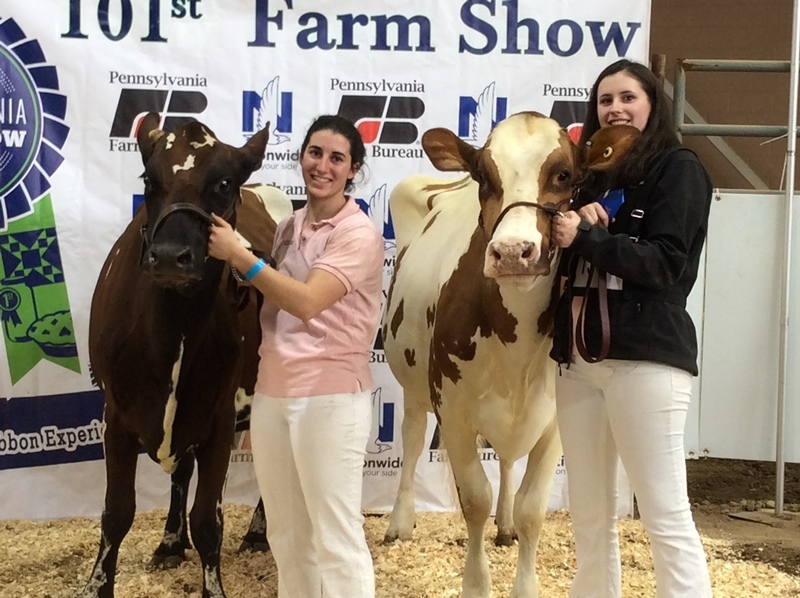 1st place Exhibitor herd, Grand Champion, Honorable Mention. 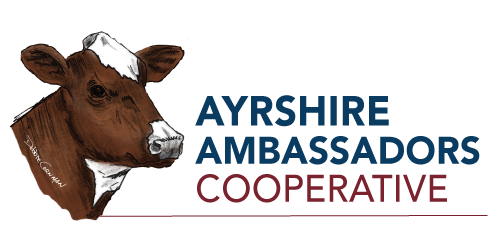 And Ayrshire Premier Breeder! 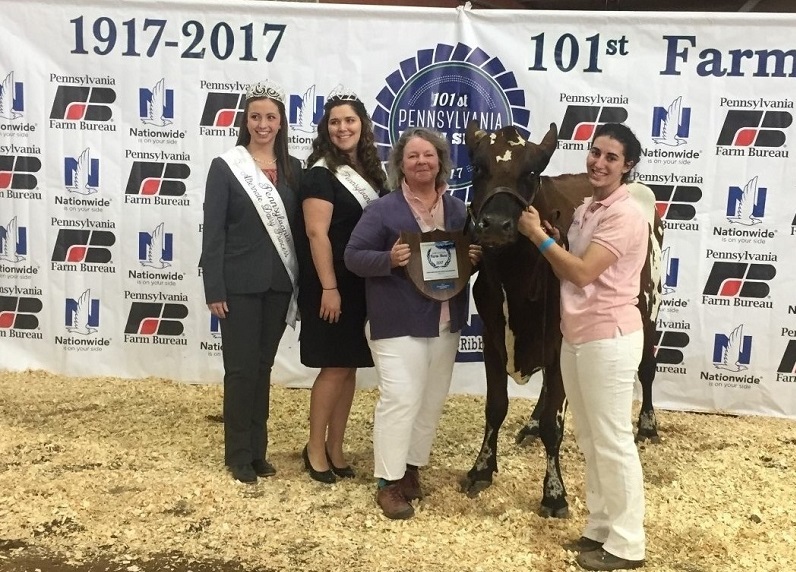 On Friday, January 13, at the Pennsylvania Farm show, exhibitors competed in the Ayrshire Open Show and the Ayrshire Junior Show. Congratulations to all our winners and all the participants for their hard work! 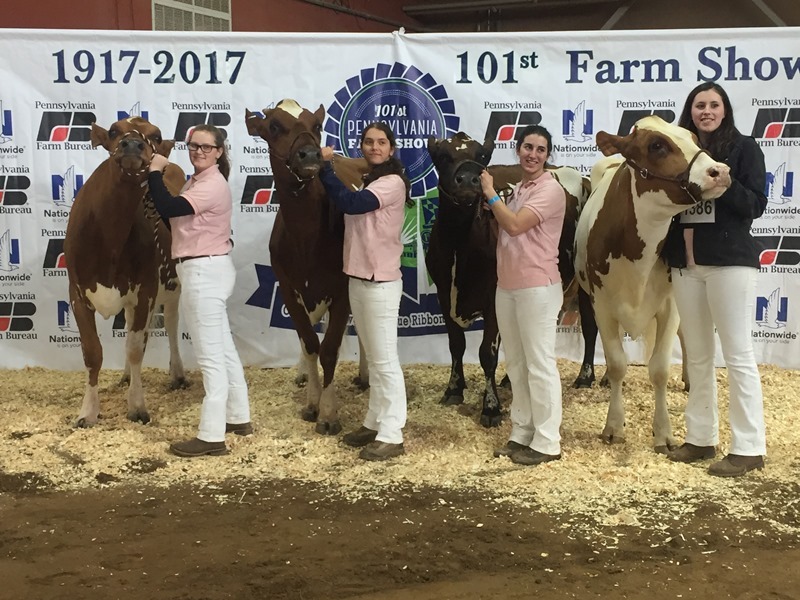 Left to right: Plum Bottom Burdette CoCo, Grand Champion, on the halter, Amye Gulezian, and Mowry Plum Bottom Paris S ET, Honorable Mention, on the halter, Annie Schmidt. Gay Rodgers of Plum Bottom Ayrshires accepting the premier breeder award. The complete results from each show are listed below.